View Exhibit Information on Peninsula Museum of Art Website. Free admission and parking. Close to BART. This painting will be one of over 160 pieces of art going under the hammer at this year’s upcoming Artspan Benefit Art Auction. Part of my Urban Wall series, the piece is a lighthearted collection of visual narratives found in cities around the world. This, and many other artworks, can be yours for as little as a third of retail price if you join us at the auction! Click here for details, tickets and auction catalogue. Showing works which continue the playful interaction between collage and paint while exploring the layers of narrative found in our city, from the rooftops, through the walls, to the very foundations of its waterfront edge. The show, featuring seven of my paintings in a solo exhibit, takes its name from the Latin Creatio ex Materia, or creation out of matter, the premise being that existing material is transformed into something else. At my upcoming Open Studio I have decided to show some of the “behind the scenes” work which I do to maintain a level of fun and energy in my artistic practice. This includes: Dry-point etching; Trace monotype; Screen printing; Figure drawing; Collage; and Sketching. New work in the studio continues to explore the layers of narrative found in the urban environment with the playful interaction of collage and paint. This solo show of works by Catherine Mackey explores the grids and patterns found in cities around the world, from Sao Paolo and Hong Kong to New York and San Francisco. The playful interaction between collage and paint speaks to the layers of narrative found in the urban environment, reaching from rooftops through walls to the very foundations of its waterfront edges. Harrington Gallery, Firehouse Arts Center, Pleasanton, CA. Back streets, wharf sides, crowded avenues, all pulled together with a little graffiti, combine to bring you an interesting, thought provoking exhibition. Participating artists include Karen Frey, Robert Huberman, Catherine Mackey, Jill McLennan, Andy Ruble, William Salit, and Beth Waldman. Inclusions Gallery, San Francisco, CA. An invitational group show presenting seven artists living or working in the unique Bernal Heights neighborhood of San Francisco. Over 100 artists and artisans will be showing in the same building! Heye Bike Art jigsaw puzzle “Red Limited”, featuring an image of a Mackey bicycle painting, is now available from Amazon.com for $16.99. 1000 pieces - not for the faint hearted! Bike Art: Bicycles in Art Around the World – by Kiriakos Iosifidis. 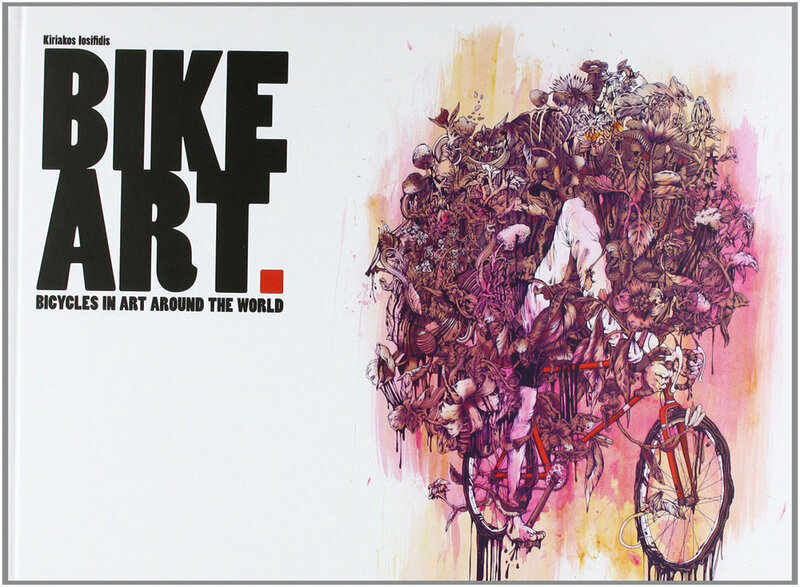 A hard-cover book full of bicycle art by international artists includes several pieces by Mackey. Available from Amazon.com for $34.95.